When you're out and about, you don't want to have to be without your Arizer Solo hand-held vaporizer. That's why you can't afford to be without the Arizer Solo Car Charger. 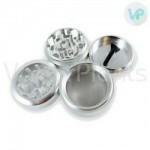 With this vape accessory, you can recharge your hand held vaporizer right in your vehicle. The small end of the Arizer Solo Car Charger plugs into your vaporizer, while the large end should be plugged into your vehicle's cigarette lighter or 12-volt DC port. Typically, this is located on the console or dashboard. The Arizer Solo Car Charger draws power from your vehicle's battery, so for best results, you should use it when your engine is running. You can also utilize the charger with the engine off and your key set to the Accessory position; however, this can drain the battery.